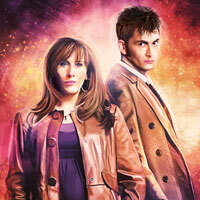 The hugely popular Doctor Who 3” TITANS series continues! First Available at SDCC 2016 this figure comes from season 9’s Under the Lake/Before the Flood. The Doctor is dead. Worse… he’s a ghost! A pretty terrifying one at that! 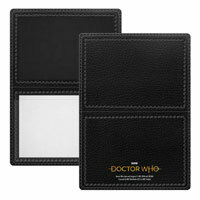 rdoctorwho has these listed for £12.99. Ordered mine, there’s no way I’m passing up this opportunity again. My two S.D.C.C. Doctor Who Titan vinyl figures arrived and I love them! 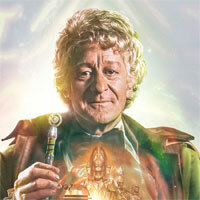 The sparkling TARDIS is lovely but my favourite has to be the Ghost Twelfth Doctor! Glad they got them to th U.K.
My two S.D.C.C. Doctor Who Titan vinyl figures arrived and I love them! 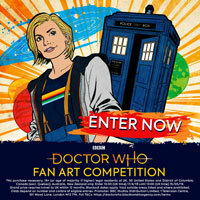 The sparkling TARDIS is lovely but my favourite has to be the Ghost Twelfth Doctor! Glad they got them to the U.K.
has anyone received this yet mine was sent out on Monday? Yeah, mine & the Tardis turned up from FP today. Mine was also sent out Monday. 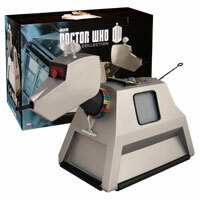 Didn’t take long for this & the Tardis to sell out. Just a few hours in fact! 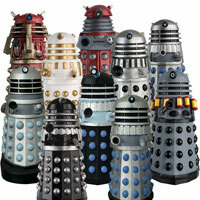 RDOCTORWHO HAS THEM IN STOCK NOW !!! Finally! Yippee! 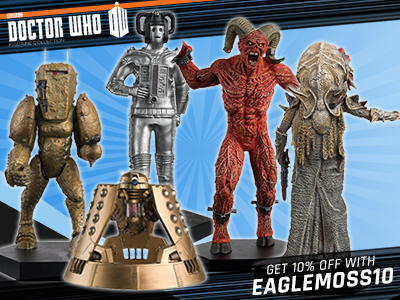 I have just ordered these creepy Ghost Twelfth Doctor and TARDIS Titan figures! Finally! Yippee! 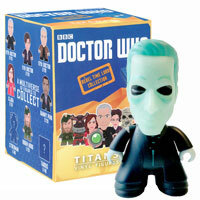 I have just ordered the creepy Ghost Twelfth Doctor and beautiful TARDIS Titan figures! 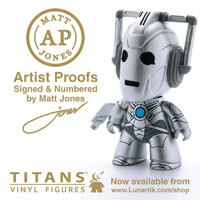 As it was at SDCC first will there only be a limited number of these or will they be out for ages like normal ones? Thank you. Fingers crossed it’s still on sale when I get back from holiday. I’m still waiting for these two to come on sale. Hurry up F.P! Then what was the point of the “first to market” term ????? Big deal! After all that hoo-haa last year over SDCC Titans & then Cancellations from Forbidden Planet, I would like to actually KNOW one way or the other if these are actually EXCLUSIVE to SDCC or not? Forbidden Planet put up Titans for sale from SDCC then promptly cancelled all the Orders due to the EXCLUSIVE License to SDCC. Trying to get hold of those is nigh on impossible & if you do find them they are at extortionate prices. 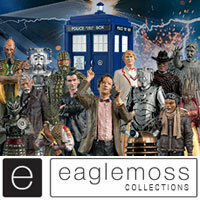 If they are coming to Forbidden Planet great I can get them, but what if they don’t? Do I fork out 3 times the price on ebay to secure one of each now or what? Yes, I did wonder Booboo about the ‘2016 First To Market’ blurb at the top? We can only wait & see & hope? Presumably as soon as you find out you’ll be putting up a page? As soon as anything is mentioned here it invariably then sell’s out very quickly. Hence the Ghost Cyberman now no longer available. So shall have to check back often as usual. 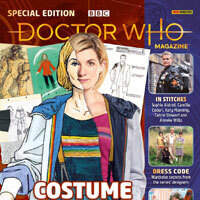 We will probably be seeing a Velvet 12, open eyes Davros, light purple missy, colonel sarff, Fisher King, Ashiler (dunno which episode), possibly Osgood and fingers crossed for the new rassilon! I need this Titan figure so bad! And a Pop! figure version too! Wow! Really interesting item. Although I don’t normally collect Titans, I think I may grab this. Very cool. I hope this ends up in FP.